Many people have the misconception that writing a picture book is easy. Well it isn’t. When using 100-700 words, a picture book author needs to make sure that every word adds meaning, purpose, texture, emotion and a fluency that appears seamless. Picture books are crafted with the utmost care for the most discerning audience – children. During this workshop, writers will re-examine every aspect of their picture book manuscripts from idea to focus to character/concept to development of the elusive “read-it-again” quality. Come prepared to think deeply and revise thoroughly. it is a day designed for you – the writer who wants to craft a memorable picture book. 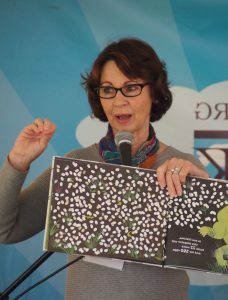 Lola M. Schaefer is the award-winning author of more than 250 books for children. Her book FRANKIE STEIN won the 2008 Children’s Choice Book Award. Lola has also published twelve Professional Resource books with Scholastic that assist teachers with writing instruction in elementary and middle school classrooms. A frequent presenter in schools, Lola enjoys the opportunity to dialogue with students, writer-to-writer, as well as offer writing demonstration lessons and coaching to the faculty. Lola was born July 23, 1950 in Fort Wayne, Indiana. Both of her parents read to her from an early age and she quickly become an avid reader of biographies, science books and fiction, especially adventure stories. Lola never had any opportunities to write poetry or stories while in school. At that time, the only writing she knew was reports – reports on dead presidents, dead explorers, dead inventors. She never met an author, or heard one speak. It never occurred to her that she might enjoy writing, or one day become an author herself. Lola received her BS in Education in 1972 from Indiana University, and her MS in Education in 1984 from IU. She taught grades K-5 and 7 during her 18+ years as a classroom teacher. During this time she began offering keynotes and workshops on the art of teaching writing at national, regional and local conferences. Since 1998, Lola has been a national writing consultant, working in classrooms in grades K-8. For four years, 2002-2005, she was an associate professor at Indiana-Purdue University at Fort Wayne, offering graduate classes on writing instruction in the elementary classroom. 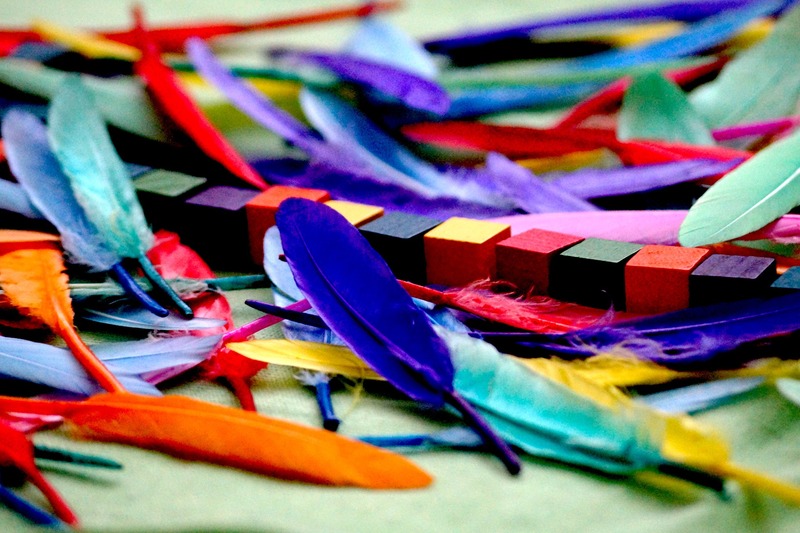 Today, Lola M. Schaefer divides her time between writing, speaking and staff development. She continues to publish books in a variety of formats. 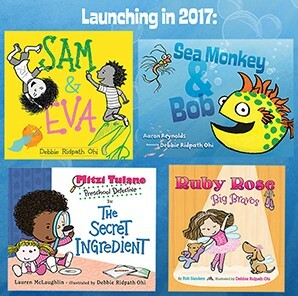 Her MITTENS series with HarperCollins I Can Read books now has four titles and is still growing. She publishes novelty board books with Little Simon (Simon & Schuster) and picture books with Marshall Cavendish, Greenwillow Books (HPC), Henry Holt, Chronicle Books and Hyperion. Book awards include several state reader awards and the Outstanding Science Trade Book for Students K-12 for JUST ONE BITE (2011) and ARROWHAWK (2005). An ISLAND GROWS was a Charlotte Zolotow Award Honor Book and LOOSE TOOTH won the 2007 Garden State Children’s Book Award for Easy Reader. Lola and her husband Ted live in the mountains of north Georgia near Amicalola Falls where they enjoy hiking, gardening and reading. In honor of our dear friend Liz Conrad, whose bright spirit left us way too early, Southern Breeze SCBWI has established a Portfolio Critique Scholarship Fund.